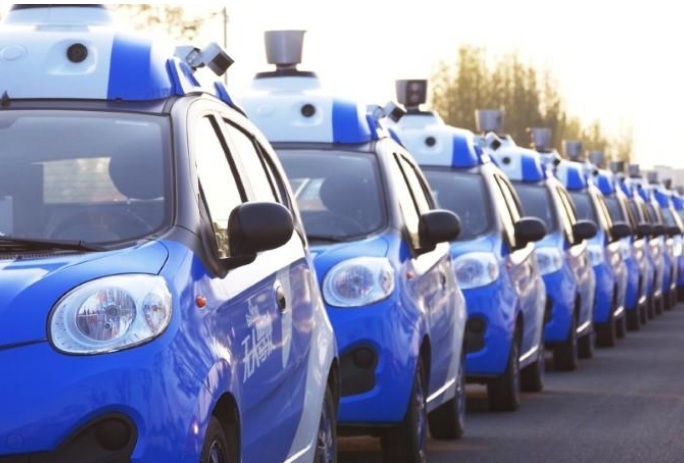 A fleet of vehicles equipped with Baidu’s autonomous driving technologies conduct road testing in Wuzhen, Zhejiang Province, China in an undated photo. BEIJING - Chinese search engine Baidu Inc announced a 10 billion yuan ($1.52 billion) autonomous driving fund on Thursday as part of a wider plan to speed up its technical development and compete with U.S. rivals. Chinese search engine Baidu Inc announced a 10 billion yuan ($1.52 billion) autonomous driving fund on Thursday as part of a wider plan to speed up its technical development and compete with U.S. rivals.